Kraakbeen bestaat uit collageen, elastine en een matrix van lange suiker-eiwitmolecules genaamd proteoglycanen en glycosaminoglycanen. Deze glycosaminoglycanen zijn uitermate belangrijk voor het vermogen van kraakbeen te fungeren als een schokdemper; door hun sterke waterabsorptie maken ze kraakbeen gelachtig en veerkrachtig. Artrose wordt gekenmerkt door een progressieve degeneratie van de kraakbeenglycosaminoglycanen. Glucosamine vergemakkelijkt de synthese van glycosaminoglycanen; het aanvullen van de beschikbaarheid van glucosamine vertraagt daarom de degeneratie van het kraakbeen. Glucosamine kan ook ontstekingen verminderen en kraakbeen beschermen tegen schade veroorzaakt door NSAID's, corticosteroïden. 1. McAlindon TE, LaValley MP, Gulin JP, Felson DT. Glucosamine and chondroitin for treatment of osteoarthritis: a systematic quality assessment and meta-analysis. JAMA 2000;283:1469-75. 2. Nguyen P, Mohamed SE, Gardiner D, Salinas T. A randomized double-blind clinical trial of the effect of chondroitin sulfate and glucosamine hydrochloride on temporomandibular joint disorders: a pilot study. Cranio. 2001;19:130-9. 3. Leffler CT, Philippi AF, Leffler SG, Mosure JC, Kim PD. Glucosamine, chondroitin, and manganese ascorbate for degenerative joint disease of the knee or low back: a randomized, double-blind, placebo-controlled pilot study. Mil.Med. 1999;164:85-91. 4. Hughes R,.Carr A. A randomized, double-blind, placebo-controlled trial of glucosamine sulphate as an analgesic in osteoarthritis of the knee. Rheumatology. (Oxford) 2002;41:279-84. 5. Rindone JP, Hiller D, Collacott E, Nordhaugen N, Arriola G. Randomized, controlled trial of glucosamine for treating osteoarthritis of the knee. West J Med. 2000;172:91-4. 6. Muller-Fassbender H, Bach GL, Haase W, Rovati LC, Setnikar I. Glucosamine sulfate compared to ibuprofen in osteoarthritis of the knee. Osteoarthritis.Cartilage. 1994;2:61-9. 7. Bassleer C, Rovati L, Franchimont P. Stimulation of proteoglycan production by glucosamine sulfate in chondrocytes isolated from human osteoarthritic articular cartilage in vitro.Osteoarthritis.Cartilage. 1998;6:427-34. 8. Runkel DR,.Cupp MJ. Glucosamine sulfate use in osteoarthritis. Am.J Health Syst.Pharm. 1999;56:267-9. 9. Setnikar I, Palumbo R, Canali S, Zanolo G. Pharmacokinetics of glucosamine in man.Arzneimittelforschung. 1993;43:1109-13. 10. D’Ambrosio E, Casa B, Bompani R, Scali G, Scali M. Glucosamine sulphate: a controlled clinical investigation in arthrosis. Pharmatherapeutica 1981;2:504-8. 11. Reginster JY, Deroisy R, Rovati LC, Lee RL, Lejeune E, Bruyere O et al. Long-term effects of glucosamine sulphate on osteoarthritis progression: a randomised, placebo-controlled clinical trial.Lancet 2001;357:251-6. 12. Pavelka K, Gatterova J, Olejarova M, Machacek S, Giacovelli G, Rovati LC. Glucosamine Sulfate Use and Delay of Progression of Knee Osteoarthritis: A 3-Year, Randomized, Placebo-Controlled, Double-blind Study. Arch.Intern.Med. 2002;162:2113-23. 14. Monauni T, et al. Effects of glucosamine infusion on insulin secretion and insulin action in humans.Diabetes. 2000;49(6):926-35. 15. Scroggie DA, Albright A, Harris MD. The effect of glucosamine-chondroitin supplementation on glycosylated hemoglobin levels in patients with type 2 diabetes mellitus: a placebo-controlled, double-blinded, randomized clinical trial. Arch Intern Med. 2003 14;163(13):1587-90. 16. Reichenbach S, Sterchi R, Scherer M, et al. Meta-analysis: Chondroitin for osteoarthritis of the Knee or Hip. Ann Intern Med. 2007 146:580-590. 17. Clegg DO, Reda DJ, Harris CL, et al. 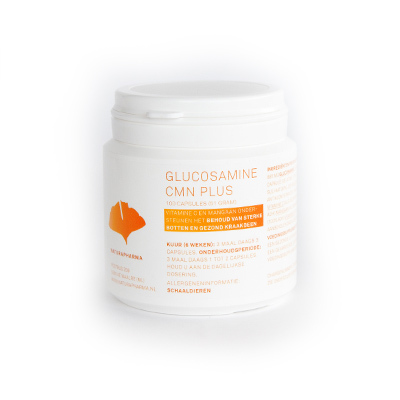 Glucosamine, chondroitin sulfate, and the two in combination for painful knee osteoarthritis. N Engl J Med. 2006 Feb 23;354(8):795-808. 18. Herro-Beaumont G, Ivorra JA, Del Carmen Trabado M, et al. Glucosamine sulfate in the treatment of knee osteoarthritis symptoms: a randomized, double-blind, placebo-controlled study using acetaminophen as a side comparator. Arthritis Rheum. 2007 Feb;56(2):555-67. 19. Sawitzke AD, Shi H, Finco MF, et al. The effect of glucosamine and/or chondroitin sulfate on the progression of knee osteoarthritis: A report from the glucosamine/chondroitin arthritis intervention trial. Arthritis Rheum 2008 Sep 29;58(10):3183-3191. 20. Knudsen JF, Sokol GH. Potential glucosamine-warfarin interaction resulting in increased international normalized ratio: case report and review of the literature and MedWatch database. Pharmacotherapy. 2008 Apr;28(4):540-8. 21. Lin PC, Jones SO, McGlasson DL. 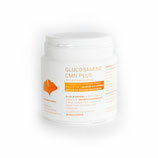 Effects of glucosamine and Celadrin on platelet function. Clin Lab Sci. 2010 Winter;23(1):32-6. 22. Wilkens P, Scheel IB, Grundnes O, et al. Effect of Glucosamine on Pain-Related Disability in Patients With Chronic Low Back Pain and Degenerative Lumbar Osteoarthritis. A Randomized Controlled Trial.JAMA. 2010;304(1):45-52. 23. Wandel S, Juni P, Tendal B, et al. Effects of glucosamine, chondroitin, or placebo in patients with osteoarthritis of hip or knee: network meta-analysis. BMJ. 2010 Sep 16;341:c4675. 24. Ali AA, Lewis SM, Badgley HL, Allaben WT, Leakey JE. 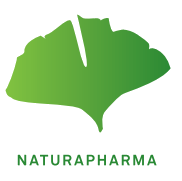 Oral glucosamine increases expression of transforming growth factor beta 1 (TGF-beta 1) and connective tissue growth factor (CTGF) mRNA in rat cartilage and kidney: implications for human efficacy and toxicity. Arch Biochem Biophys. 2011 Jun 1;510(1):11-8.